At a recent launch event in New Delhi, Sony India has launched its highly anticipated Master Series A9F Bravia OLED TVs in the country. The A9F Master Series TVs come equipped with Sony’s 4K HDR Processor X1 Ultimate which controls over 8 million self-illuminating pixels that deliver greater clarity and deep blacks. The new Sony Bravia Master Series A9F will be available in two screen sizes in the country, with the 55-inch variant priced at Rs. 3,99,990 and the 65-inch variant priced at Rs. 5,59,990. Both the models will be available across Sony Centers and major electronic retails stores starting from September 20. The X1 Ultimate picture processor is capable of detecting and analyzing each object in the picture, thanks to Sony’s new Object-based Super Resolution mechanism that delivers exceptional accuracy and detail. The Object-based HDR remaster feature has also been updated for the Master Series TVs, which allows each object to be remastered individually to offer better depth, accurate textures and an very realistic picture. 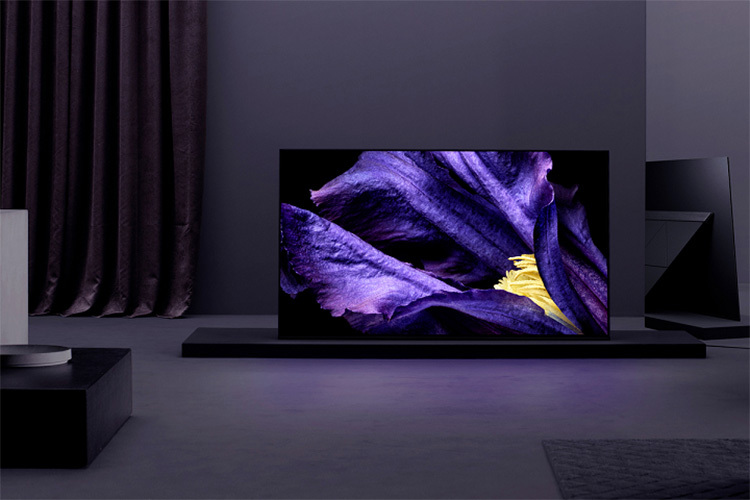 The new Sony Bravia Master Series TVs not only brings great picture quality to the table, but are also capable of incredible sound output to give users a more immersive experience. In order to make that happen, the TVs are equipped with the company’s Acoustic Surface Audio+ technology which makes use of an extra actuator in the center of the screen and an extra subwoofer channel, giving the TV a 3.2 channel sound system. The additional center actuator plays a significant role in giving the TVs a more immersive sound stage as it acts just like the center speaker hidden behind the acoustically transparent screen – a technology that’s used in movie theaters to deliver more rich and full audio. The flagship Master A9F TV also comes equipped with the Pixel Contrast Booster which serves to maximize the dynamic range “by widening the area of color reproduction at high brightness therefore pictures are enhanced with extra detail and texture.” The new Master Series TVs run on Android TV 8.0 Oreo which promises a faster, easier and intuitive user interface for the user.